The human rights community might have hoped that a Conservative government, in complete chaos over the UK’s withdrawal from the European Union, would allow the sleeping dog to lie. But when it comes to its relationship with the European human rights system and to repeal of the Human Rights Act, the government is keeping its options open. 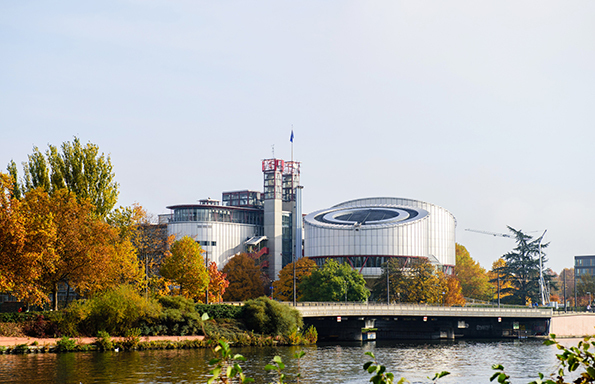 In December, the House of Lords EU Justice Sub Committee had requested information about the government’s commitment to the European Convention post Brexit. In response, in January, junior minister, Edward Argur, confirmed that the government would be ‘revisiting’ the HumanRights Act ‘post Brexit’. We will not repeal or replace the Human Rights Act while the process of Brexit is underway but we will consider our human rights legal framework when the process of leaving the EU concludes. We will remain signatories to the European Convention on Human Rights for the duration of the next parliament. As Home Secretary, it was Theresa May’s grand ambition to withdraw from the European Convention on Human Rights; ‘it isn’t the EU we should leave but the ECHR and the jurisdiction of its court’, she once maintained. It was David Cameron who introduced the Conservative intention of repealing ‘Labour’s Human Rights Act’ and replacing it with a British Bill of Rights. Theresa May has held that line since. The media tends to feast on Conservative fears about European Court of Human Rights judicial overreach –prisoner voting and the system applying to our ‘brave troops’ abroad for example – and on Conservative anger about, amongst many other things, the Human Rights Act preventing deportation. Remember, Theresa May famously claimed ‘We all know the stories… about the illegal immigrant who cannot be deported because, and I am not making this up, he had a pet cat’. Of course, that story was entirely made up! The real story, though, is in the ambiguity of, and the motivation for, the Conservative party’s future plans. The case for a British Bill of Rights has not been persuasive. We should remember that the Conservative party has not settled its internal differences on commitment to human rights. Repeal and return to a pre-1998 human rights landscape seems unlikely. It is necessary to placate the rights-friendly members – hence, a British Bill of Rights, But that proposal offers little that is, or could be, different to existing human rights provision in UK law (or even worse, from a Tory perspective, there is the risk of strengthening human rights provision). So the rebranding exercise looks unnecessary. This is, of course, not to say that a future Conservative party will not fulfil its promise. So why exactly is anti-European Convention and anti-Human Rights Act rhetoric so central to Conservative policy? By whipping up fear, the rights critics are able to drum up support for their policies – particularly in the areas of immigration, counter-terrorism and criminal justice – whilst making headlines and capitalising on fragile identity politics. Europe – being tethered to it through the Convention system, and through incorporation of the Human Rights Act – is the sore point. The call for a British Bill of Rights and the rhetoric of British values are offered as a distinct contrast to the ‘foreign’, ‘European’, imposed character of the Human Rights Act. The emphasis on the foreignness of all things European is an attempt to cement British identity in a time of insecurity about what exactly that means. Once the space has been captured by an anti-rights movement – rooted in anti-immigration, counter-terrorism and draconian criminal justice populist contexts – the debate risks shifting too far from meaningful scrutiny of human rights. The train has already left the station in relation to the media’s treatment of stories about the human rights of immigrants. Rhetoric around floods, creeping and foreign threats and burdens on British society invoke the otherness of both immigrants and human rights, such that a humanitarian defence of immigration is increasingly absent from the popular narrative. There is no pause for breath to consider how we might utilise a human rights framework to stop children drowning in the Mediterranean, to feed the homeless, to stem the march of climate change…need we say, the list goes on? We should not be surprised by the Conservative strategy with the Human Rights Act. Appealing to an anti-European sentiment has always proved popular in sections of the UK media and, for those bent on breaking ties with the European Union, it has been successful. The Murdoch empire’s embrace of ideological opposition to the EU and its increasingly sensationalist Eurosceptic tone propelled the Euro-friendly media in turn towards an increased focus on threats to British sovereignty and identity. Having conceded too much ground to Euroscepticism, they were unable to recover a convincing position. A strikingly similar pattern is unfolding with the Human Rights Act and the Convention system. This debate is not going anywhere. It is a battle for British identity. The human rights defenders have not fully appreciated the politics and character of Conservative anti-European rights policy. They have responded either by conceding too much ground, as with immigration, or by fetishing human rights, absent meaningful critique. Find out more about the relationship between rights and the media with Michelle Farrell, Eleanor Drywood and Edel Hughes (eds), Human Rights in the Media: Fear and Fetish (Routledge, 2019).